It is generally believed that the best juice is fresh with pulp. But freshly squeezed juices have properties to which one should be treated with great care. What is the danger? Doctors say that the risk of a powerful attack of allergy, using fresh, is only half the trouble. What is more terrible for the body can be an “overdose” of fructose (easily digestible sugar), which is instantly absorbed into the blood, as soon as the juice enters the stomach. From fresh it is better to refuse to people with high acidity, diabetes, obese, prone to allergies. For healthy people, the daily norm of freshly squeezed juice should not exceed 200-300 ml. Ideally, in the morning doctors recommend to drink 150 ml of fruit juice and the same amount of vegetable – during a snack. Sokoterapiya usually lasts 21 days, then a break is made for a week, after which, if desired, treatment can be extended. With liver diseases, use carrots, pumpkin, apple juices, for weight loss – melon, pumpkin, with stomach diseases – potato. But to beet juice should be treated with great care. It very lowers the pressure, so it needs to be diluted and settled for 2 hours. Carrot fresh is also better not to drink pure, but to mix with apple. 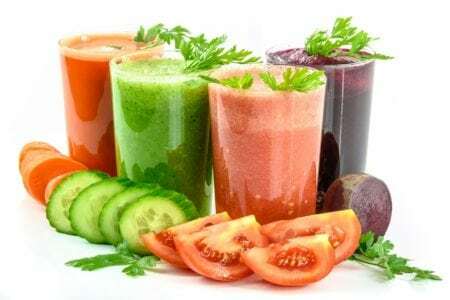 Do not add salt or sugar to the fresh juice: nature has already enriched it with all the necessary ingredients and endowed it with the taste that it should have. But that’s not all! Vitamins are incredibly capricious. They begin to break down already when they come into contact with air and the metal surfaces of the juicer. In addition, they disappear, even if it is wrong to store fruits and vegetables. Therefore, it is necessary to remove the fruits from the refrigerator immediately before preparing the drink. In no case can they be kept in water: ascorbic acid is a water-soluble vitamin, so it just dissolves. The golden rule: only squeezed out – instantly drink!